Over the past few years there have been many strategies proposed and articles written on whether customers would prefer to view and pay their bills at a Biller’s website, aggregate a number of bills through their Bank’s Internet site or at another portal operator. These approaches are known as ‘Biller Direct’, ‘Portal Aggregation’ and ‘Bank Aggregation’. Various analysts including Gartner, Forrester and the Tower Group have researched this in great detail. In the case of ‘Biller Direct‘ the consumer is able to view his bill and pay it at the biller’s own website. There are many inconveniences to this strategy; the customer has at least 8 to 10 clicks to complete the transaction, they have to remember yet another username & password and they can only pay a single bill at a time. It is significantly easier just to write a check. The anemic adoption rates (after 5/6 years of trying) are testament to how consumers feel about taking this approach. The case for ‘Portal Aggregation‘ is slightly better (in theory) as there are many bills within a single location. Unfortunately, due to the sheer number of biller relationships required; no aggregator has managed to achieve any significant portion of a household’s bills. The eBills also very seldom look like the paper one and this missing familiarity aspect inhibits adoption. Further to this, these websites require a more ‘internet-savvy’ consumer, thus taking the majority of users out of the target market. From a BillPay point of view, this is very convenient, as you are making payment directly from the source of your funds. The obvious downside to this approach is that you cannot view your bills in this location. Attempts by some banks to integrate with billers to get a view of the bill have failed dismally – there are once again also just too many required relationships. Further to this, billers want to maintain their direct billing relationship which in many cases is their only point of client contact and marketing opportunity. In fact, electronic billing for both banks and billers, has to date achieved little more than adding a layer of cost to an already costly process. Until the early to mid 90’s, before the age of electronic mail, all communication / mail was conveniently delivered to our homes and offices. This mail could be divided into four groups: Business Mail, Personal Mail, Bills and Junk Mail. Your in-tray and mailbox at the bottom of your driveway, served as the aggregator of all your communication. You did not have to do anything to have it delivered and you certainly did not have to go anywhere to fetch it. Let’s fast forward to September 2006 ~ Three of the four types of communication; Business Mail, Personal Mail and some Junk Mail, are now almost all found in your email inbox/s. The one type of communication that is conspicuously absent is your Bills. That link that you get to go and ‘fetch’ your bill / statement online is just not convenient. Imagine having to go through a time consuming multistep process just to open each envelope that you get in the mail. In order to offer meaningful convenience to customers, billers and banks need to get as close as they can to the familiarity of paper billing – electronically; by delivering bills and statements directly into their customers’ inboxes. Just like a piece of paper, the customer does not have to do anything to receive it. The most convenient is one click, no registration, ePayment directly from within the secure eBill. The next most practical option is setting up payment through their Internet Banking portal. Many consumers will choose to phone their payments in, so adding a convenient self service toll free bill payment number alongside the amount due is a very easy way to get many electronic payments. The least most convenient and not recommended option is linking the consumer back to a biller direct website for payment. 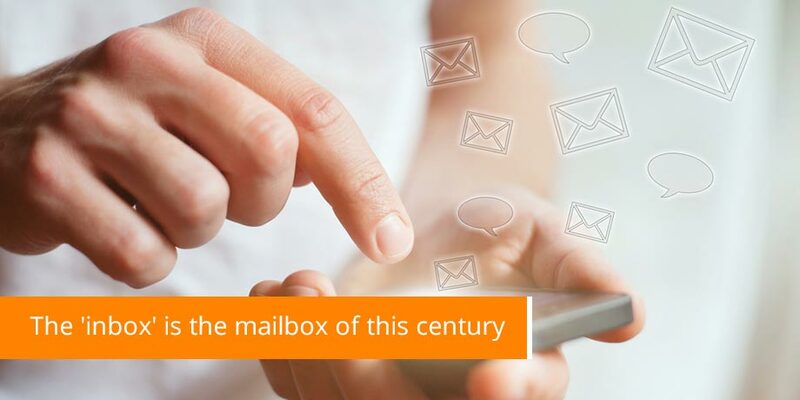 The ‘inbox’ is the mailbox of this century and it is only a matter of time before all communication is delivered directly there – bills included.